Meet the team that has over 200 years of combined insurance experience. Ben Jones Jr is the son of Ben Jones, President of Jones Insurance Services, and Mollie Jones. Born and raised in Thibodaux, Louisiana, Ben Jr attended St. Joseph Elementary School before moving on to Edward Douglas White Catholic High School. While in High School, Ben Jr was involved in Student Council, Key Club, Drama Club, Captain of the Boys Tennis Team, Cross Country, and Senior Class Vice President. He was also voted Best Dance Moves and EDW Sweetheart before graduating in 2007. Ben Jr then attended Nicholls State University where he served as Recruitment Chairman for two years and President of his fraternity, Sigma Alpha Epsilon. Ben Jr graduated in 2011 with a Bachelor of Science in Business Administration and a Minor in English. 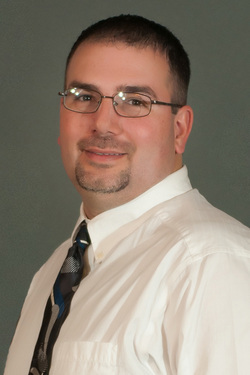 Although Ben Jr has been involved with Jones Insurance Services and maintained his Property & Casualty license and Life & Health license for the past 4 years, his previous work experience had him as a student worker for Institutional Advancement at Nicholls State University and a medical assistant at Jones Dermatology. Ben Jr is currently also a founder of Fathom Media, which produces What Now Magazine, providing tips and entertainment to South Louisiana. Ben Jr is also the managing editor for the Thibodaux Chamber of Commerce’s monthly publication, The Thibodaux Chamber Insight. When Ben Jr has a free moment he enjoys playing guitar, playing tennis, running, reading, and of course, watching Netflix. 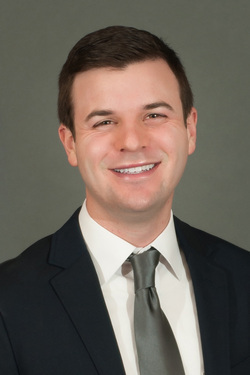 Ben Jr’s focus at Jones Insurance Services is to continue the family-owned traditions in which his grandfather, Johnny Jones, and father, Ben Jones, have built throughout their careers. 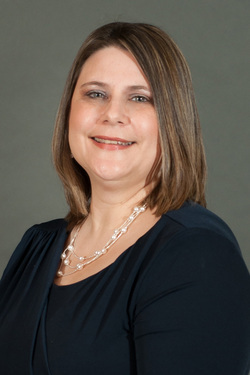 Catina Kraemer was born and raised in Kraemer, Louisiana and is a graduate of Thibodaux High School’s class of 1991. While in high school, Catina proved her leadership skills through her involvement in Student Council. Catina then moved on to Nicholls State University where she earned her Bachelor’s Degree in Business Administration in 1994. Catina is no stranger to the insurance industry. Her 20 years of experience have proven effective when saving clients money on their homeowners and auto insurance. Catina enjoys hanging out with her family, which include her husband, Daron Kraemer, and her daughters, Makayla, Malorie, and Maya. When she isn’t working hard to save clients money, Catina enjoys reading, watching movies, shopping, and going to events with her kids. She is a hard and determined team member and has both her Property & Casualty license as well as her Life & Health license. 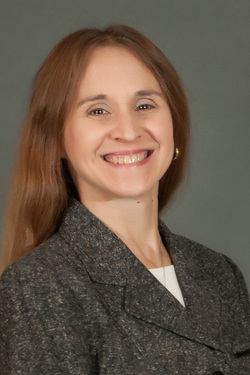 Catina is passionate about sharing the values of Jones Insurance Services with the community. Angel Eschete has a pretty easy-going and laid back personality, but when it comes to her job she knows how to provide superior customer service. She continuously strives to expand her knowledge in the industry, as well as expand her existing book of business. Born and raised in Thibodaux, Angel graduated from Thibodaux High School in 1988 and has been in the insurance industry since 1991. Prior to joining Jones Insurance Services in 1999, Angel worked as an underwriter assistant at an insurance company and also as a personal lines customer service representative with another agency. Her knowledge and experience in the industry has proven to be a key asset to Jones Insurance Services. She is married to Brad Eschete and they have one son, Brennan, and a boxer dog named Roxy. She has her property & casualty license and also received a CISR Designation. When she isn’t at the office servicing clients, Angel enjoys exercising, shopping, vacationing at the beach, and hanging out with family and friends. 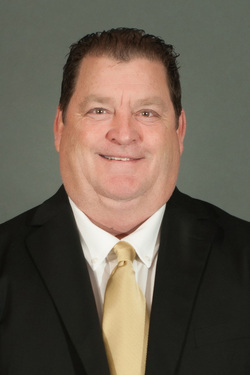 Lance Boudreaux was born and raised in Thibodaux and graduated from Thibodaux High School in 1995. He started working in the insurance industry at the age of 16 and has since been involved for the past 22 years. Lance is a very relaxed person. When he isn’t at the office helping clients save money on their home, auto, and life insurance, he enjoys fishing, going to ice hockey and football games, and playing video games. Lance and his wife, Kristy, have two sons, Ethan and Lucas, as well as a West Highland white terrier named Lilo and a saltwater fish. 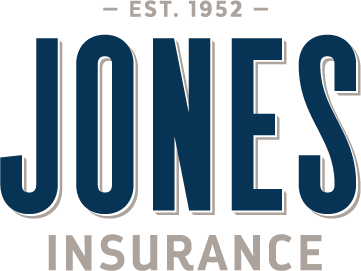 While at Jones Insurance Services, Lance keeps up-to-date with all of the different insurance and companies that are offered through the agency. He earned his Property & Casualty license as well as his Life & Health license and is ready to serve. 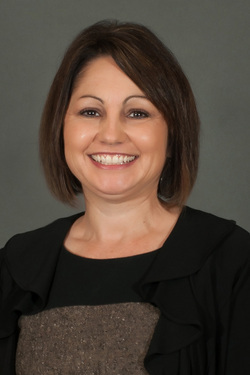 Melissa M. Dupre was born and raised in Thibodaux and attended Thibodaux High School till graduating in 1987. She then attended Nicholls for 2 years before joining the workforce. Melissa worked as a secretary with Woodmen of the World before beginning her 20-year insurance career. She has worked in personal lines, office management, and currently works in the commercial lines department. Melissa enjoys reading and vacationing, which includes spending time with her friends and family. She is married to Dwaine Dupre and they have two daughters, Emily and Natalie. They also have a Yorkiepoo named Riley. Melissa’s goal at Jones Insurance Services is to continue providing excellent coverage, competitive prices, and great customer service to her clients. She has her Property & Casualty license, her Life & Health license, and has an Industry Designations National Alliance CISR & CIC. Shalaine has come from across the country to work with us here at Jones Insurance Services. Hailing from Marysville, Washington, Shalaine is happy to make Thibodaux, Louisiana her new home. While living in Marysville, she attended Marysville Pilchuck High School. She was involved in track and decca until graduating in 1996. She then attended Trade School and received her Certification in Business Management in 1996 and her Certification in Medical Billing in 2013. Shalaine’s past experiences range from being a manager at Washington Mutual Bank to an appraisal coordinator for Sterling, as well as tech support. When she isn’t managing the front desk in the Thibodaux Office location, Shalaine enjoys visiting new locations, shopping, and spending time with family and friends. She is married to Travis Burkes and they have three children: Jason, Aysha, and Pilot. They also have a dog named Harley and a cat named Dessa. Shalaine’s focus at Jones Insurance Services is to become a licensed agent. Our orange-loving, outgoing team member may only be licensed for driving, but she is sure to earn her other licenses in the near future and continue to be a valuable asset to the Jones Insurance Services team! Tim Jones was born and raised in Thibodaux, Louisiana. He is one of the two sons involved in Jones Insurance Services that was started by his father, Johnny Jones. Tim attended Edward Douglas White Catholic High School and graduated in 1978. He then attended Louisiana State University where he graduated in 1980 with a Bachelor of Science in Business Administration. Tim has been working in the insurance business for the past 30 years, mainly involved in sales. When Tim isn’t servicing clients at the Thibodaux Office, he can most likely be found fishing in his boat or in the serf in Grand Isle, Louisiana. His focus at Jones Insurance Services is to continue to grow the agency following in his father’s footsteps. Tim has his Property & Casualty license as well as his Life & Health license and looks forward to working with clients on a daily basis. Monique Mire McMillan hails from Franklin, Louisiana. She graduated from Hanson Memorial High School in 1981 and then attended Nicholls State University where she graduated with a Bachelor of Science in Human Resources Management in 1996. 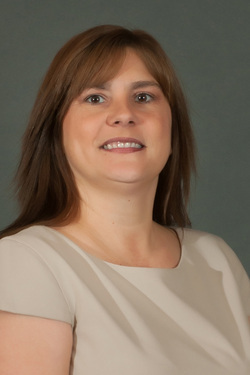 After working as the Assistant Human Resources Director for Thibodaux Regional Medical Center, Monique then moved into the insurance industry, which she has been in since 2003. When she isn’t working on weekdays in our Houma Office location, Monique enjoys traveling, concerts, and the company of her family and friends. She is married to Terry McMillan and they have a Dachshund named Spaulding. Monique’s focus at Jones Insurance Services is to assist in the continuation of great service and a positive reputation that the agency has upheld since 1952. She has her Property & Casualty license, her Life & Health license, and her Securities Series 6 license. We are happy to have Monique as part of our team and manager of the Houma Office for Jones Insurance Services! Judith “Judy” is a hard worker dedicated to doing the best job she can each day and continuing to keep her existing clients happy while growing the Houma office location even more than it already has. She is a native of Schriever and graduated from Thibodaux High School in 1971. Between 1971 and 1997, Judy worked as a doctor’s assistant to Dr. Richard Morvant, Sr. She then moved on to work as a doctor’s assistant for Dr. Chester Boudreaux until joining the Jones Insurance Services Team in 2001. Judy has two children, Casie Caillouet and Mitzi Berthelot. She enjoys taking care of her 4 grandchildren, but also enjoys shopping and dancing whenever the music is on. 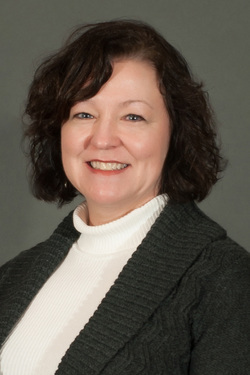 Judy has per Property & Casualty license and is a loyal team member to Jones Insurance Services. Born in Lockport, Louisiana, Darnell Roussell has spent plenty of time down the bayou working with the locals and establishing relationships throughout the lower Lafourche community. 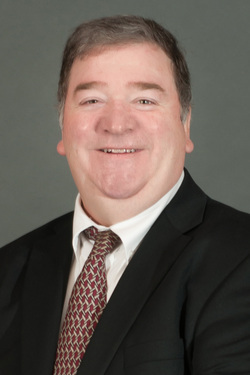 Darnell is a 1980 graduate of Central Lafourche High School and was FHA President, FHA Parlimentarian, involved in the FTA, and was also involved in Student Council and the Drama Club. 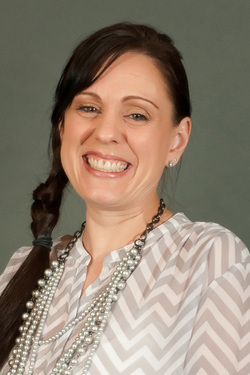 Before joining the Jones Insurance Services Team, Darnell worked as a guidance counselor assistant at Lockport Junior High, a chair side assistant for Dr. Lamar Waguespack, and a receptionist, customer service representative, and office manager at multiple insurance agencies along Bayou Lafourche. She has 35 years in the insurance industry. Darnell has two daughters, Hillary and Hailley, and a Yorkie named Meeko. She enjoys collecting cookbooks, dancing, and camping with friends and family. Darnell’s goal at Jones Insurance Services is to retain her position with the agency allowing her to apply her skills, knowledge, experiences, and abilities in serving a client to the best of her abilities. She is a dedicated team member and earned her Property & Casualty license in 1984. Darnell has been a valuable member of the Jones Insurance Services team for the last 14.5 years. Although she works behind the scenes, Karen Gros is a devoted member of the Jones Insurance Services team and looks forward to continuing to do her job to the best of her ability. Karen was born in Labadieville, Louisiana and attended Assumption High School until graduating in 1972. She has held past positions at Old America Store, Lowes, Rouses, Gulf Aire-Parts, LIGA, and LRA. Karen has three children: Melissa, Michelle, and Corey. When she isn’t busy crunching numbers at Jones Insurance Services, Karen enjoys fishing, sewing, and dancing whenever and wherever a local band can be found.